The #1 selection for women! The Havana has a 15mm sole with sleek, sophisticated straps, and a tapered feminine outline, with an optional “Logo Sole” that leaves an imprint in the sand. Assembled and decorated in the USA with imported parts. *Please note: can only print 1 color on strap. Can print 2 colors on insole at an additional charge (see below). Imprinted: $50.00(g). Imprinted price includes 1 stock color on strap or insole. Additional imprint location is additional run charge: $0.50(g). Additional charge for 2nd color on sole: $0.30(g). Strap decoration: 1 color maximum. Dimensions: 2″ x 0.5″. Heel decoration: 2 colors maximum. Dimensions: 2″ x 2″. Imprinted: $65.00(g). 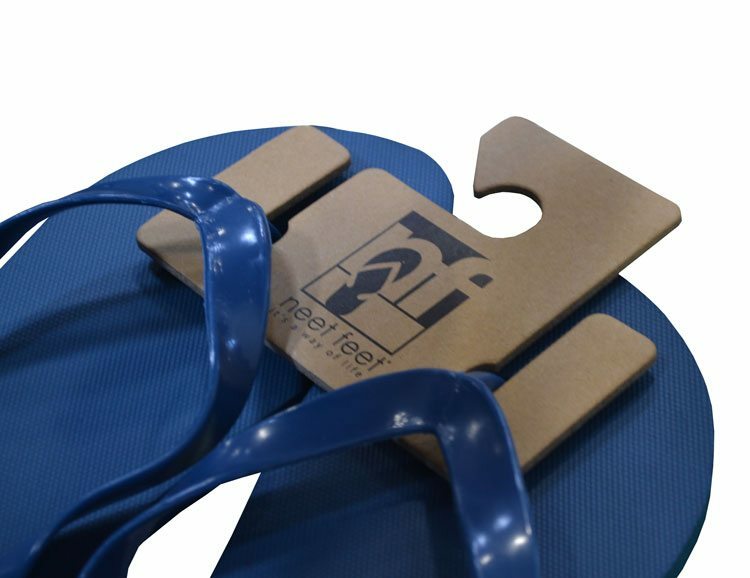 Imprinted price includes 1 stock color on strap or insole. Additional imprint location is additional run charge: $0.65(g). Additional charge for 2nd color on sole: $0.39(g). Strap decoration: 1 color maximum. Dimensions: 2″ x 2″. Heel decoration: 2 colors maximum. Dimensions: 2″ x 2″. 50-60% of women will fit in a Ladies Large (LL).